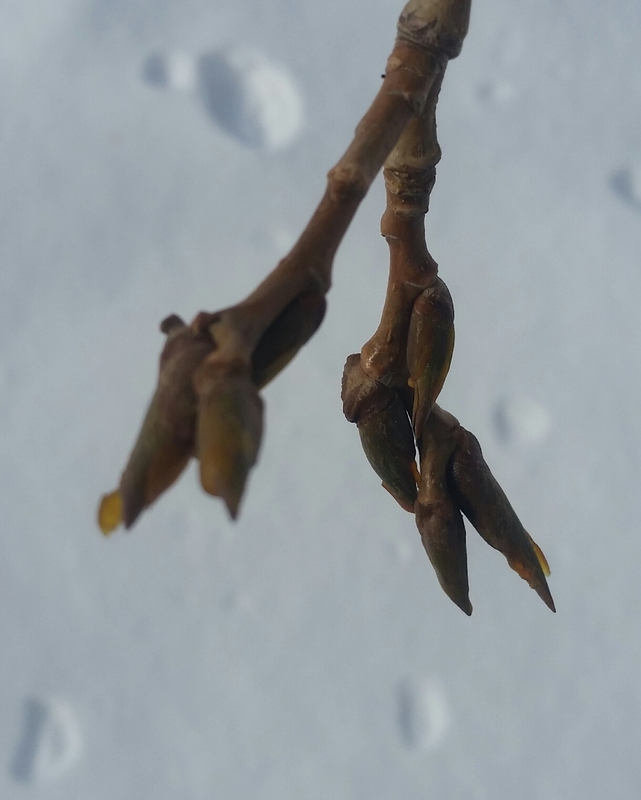 This year will be a prolific season for the balsam poplar tree. While the trees appear lifeless, nestled snugly under thick coats of snow, their roots and heartwood are busy flowing and creating. On each tree, little buds boast golden drops of precious resin, the color of marigold petals. I took many pictures but none of them did justice to the excitement I feel each year when the poplar trees herald the first whispers of spring. There are still 2 weeks until the Balsam Harvest – it seems the sap flows earlier and earlier every year. This season we will have the marvelous Rebecca Smith, ClH, along with us. Rebecca is a former apprentice wrote her thesis on the Poplar family, and is an advocate for protecting the poplar trees of Calgary. I’m also excited to be preparing our medicines outside this year, with an open fire crackling beside us, and hot herbal teas for warmth. Sharing the wonder of nature’s medicines and the honoring of the trees is a special blessing that brightens and shakes me every winter!